Protect floors and more from dirt, spills, and scratches with economical FiberockTM construction paper from USG. 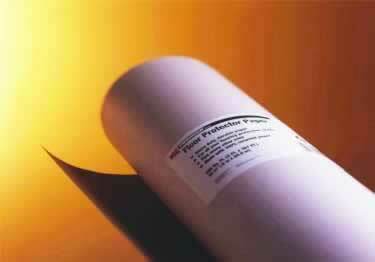 USG Fiberock Floor Protect Paper - #A1036 Is this stuff adhesive? We had something we stuck on cabinets that was fully adhesive then came off without a problem. Economically protect floors, cabinets and more with this 100% recycled paper made in the USA. It's also great for packaging, crafts, and scribing. Available in light-duty and medium-duty rolls.